Looking for a .410 capable of taking out a deer or hog on your next hunt? 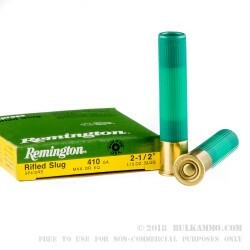 The Remington slugger line of rifled shotgun slugs deliver accuracy and consistency when it matters most--when that big buck or hog is in your sights. 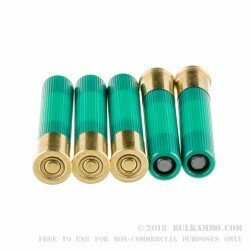 These .410 2½”, 1/5 OZ slugs deliver exceptional accuracy, capable of three-inch, five shot groupings at 50 yards, with a muzzle velocity exceeding 1830 FPS. 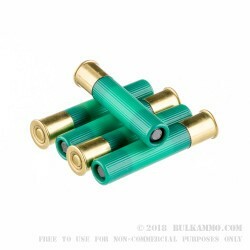 The slugger brand rifle slugs have been designed to shoot 25% flatter, while also being oversized for better performance in smooth bore barrels. This package contains boxes of five rounds in a case of 250.